In the afternoon, we visited Ming Tombs. 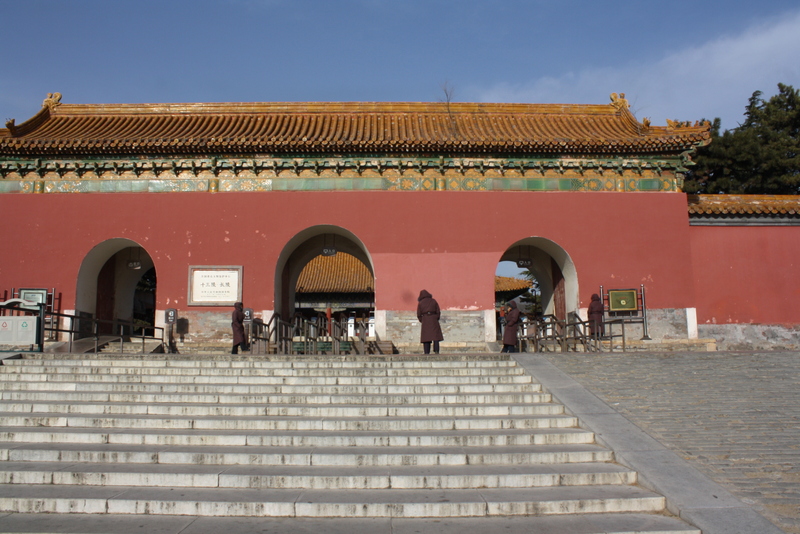 Ming Tombs is the general name given to the mausoleums of 13 emperors of the Ming Dynasty (1368 – 1644). The mausoleums have been perfectly preserved, as well as the graveyards of each of the many emperors. Because of its long history, grand and integrated architecture, the site has a high cultural and historic value among the Chinese. The layout and arrangement of all thirteen mausoleums are very similar but vary in size as well as in the complexity of their structures. It was originally built only as Changling, the tomb of Emperor Zhu Di and his empresses. This is the most magnificent of the tombs. The succeeding twelve emperors had their tombs built around Changling. Only the Changling and Dingling tombs are open to the public. Changling, the chief of the Ming Tombs, is the largest in scale and is completely preserved. The total internal area of the main building is 1956 square meters. There are 32 huge posts, and the largest measures about 14 meters in height. Emperor Zhudi, the fourth son of Emperor Zhu Yuanzhang is buried here. 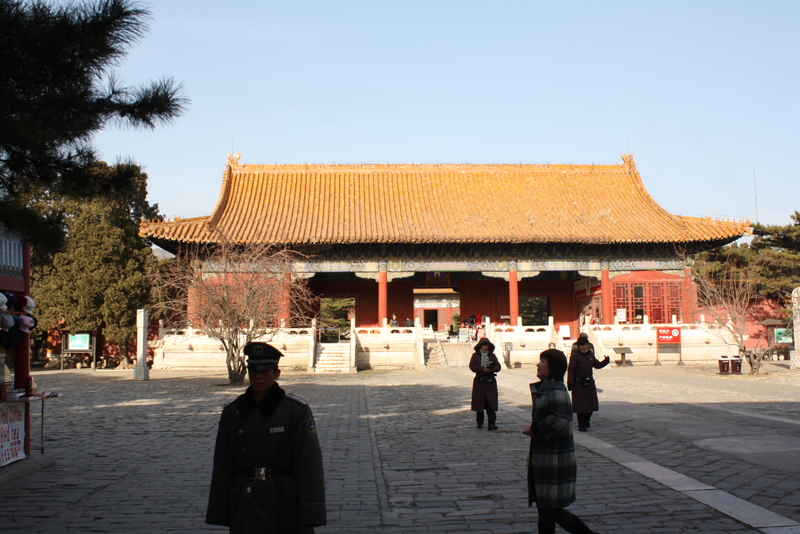 Our guide recommends the Lingsi Palace in its second yard as really deserving a visit. This is unique as it is the only huge palace made of camphor wood. It covers about 1956 square meters. The ceiling is colorfully painted and supported by sixteen solid camphor posts. The floor was decorated with gold bricks. The front hall, considered the square of the Palace, has no building within it. No special artifacts remain. A paved path leads to the central hall where there are three white marble thrones. Incense, candles and flowers were set in front of the thrones. Before each of them, there are glazed ‘Five Offerings’ and a blue china jar that would have been filled with sesame oil to be used for lamps. The rear hall is the main and biggest part of the Palace. 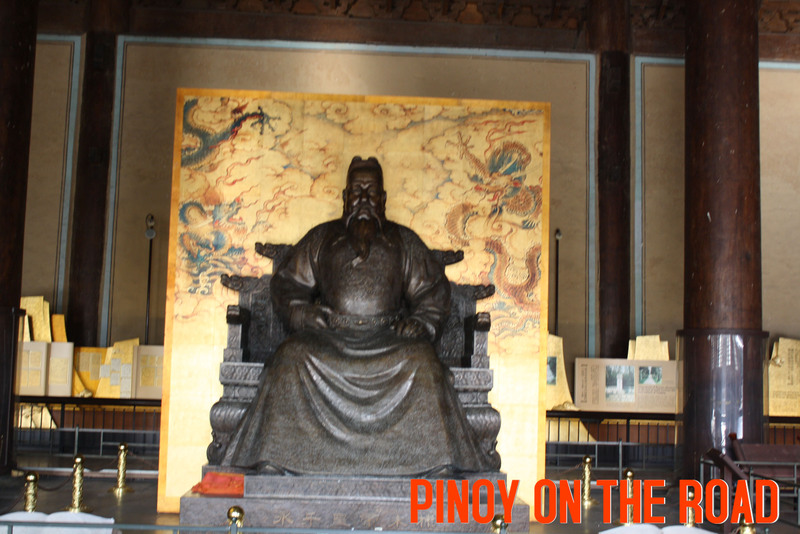 The coffins of Emperor Zhu Yijun and his two empresses are in this palace. 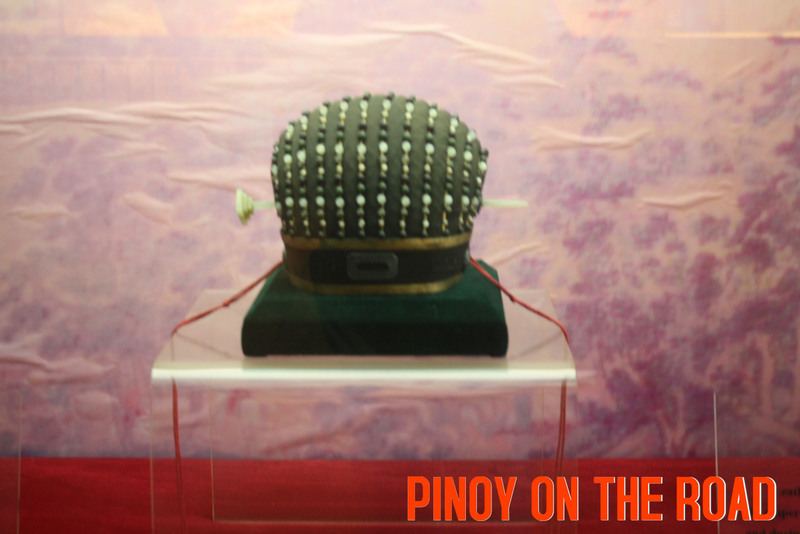 There are also some precious items displayed with these coffins; among them is the gold imperial crown, one of the world’s most rare treasures.